Jennifer Granholm speech Thursday at the Democratic National Convention energized the crowd with metaphors and cheers. 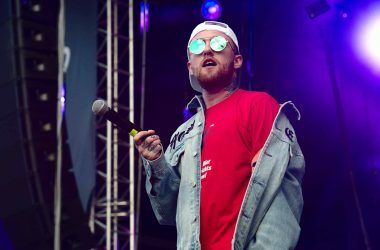 With arms in the air, voice booming and high energy, the former governor of Michigan brought spectators to their feet. Although many who spoke at both parties’ conventions chose to discuss their family’s upbringing, instead Jennifer Granholm used her experiences dealing with the American automotive crisis in her own state of Michigan as a source of credibility. Many speeches related party platform points to their families living struggles for the American dream, but Granholm told of how she witnessed that dream disappearing in her own state. “The entire auto industry, and the lives of over one million hard-working Americans, teetered on the edge of collapse; and with it, the whole manufacturing sector. We looked everywhere for help,” said Jennifer Granholm Thursday. Granholm went on to say that President Barrack Obama was the one who pulled her own state out of financial crisis. “He organized a rescue, made the tough calls and saved the American auto industry. Mitt Romney saw the same crisis and you know what he said: ‘Let Detroit go bankrupt,’” the former Michigan governor told the convention in Charlotte, North Carolina. As her speech came to an end, and all was said regarding President Obama’s saving of middle-class manufacturing jobs, Jennifer Granholm was red-faced and blue-suited. “”America, let’s rev our engines! In your car and on your ballot, the “D” is for drive forward, and the “R” is for reverse. 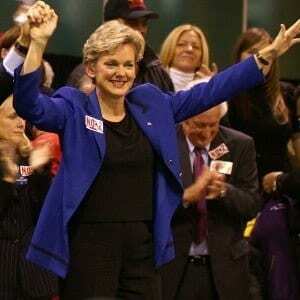 And in this election, we’re driving forward, not back,” shouted Granholm at the captivated and revved-up crowd.